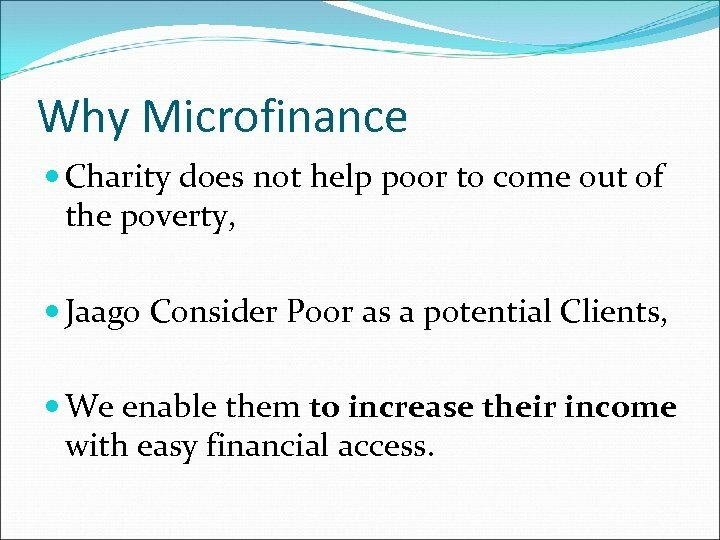 Why Microfinance Charity does not help poor to come out of the poverty, Jaago Consider Poor as a potential Clients, We enable them to increase their income with easy financial access. 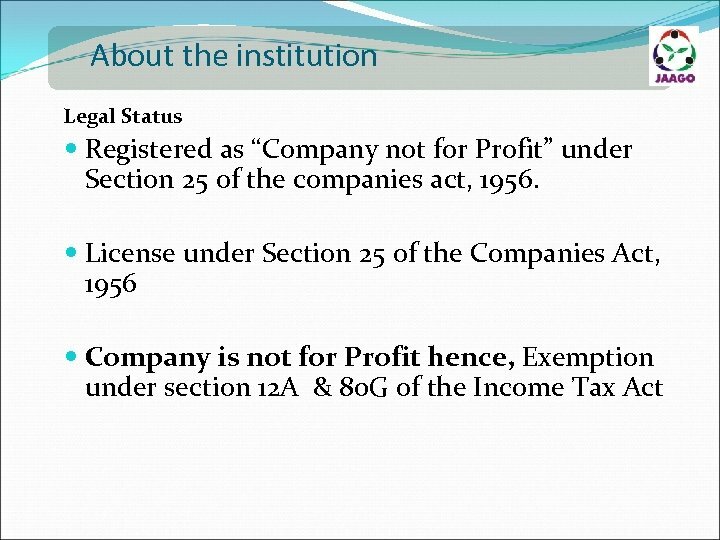 Objectives with which company was formed To promote mitigation of the poverty in India, by carrying on Micro financing activities as permitted by the Reserve Bank of India either directly or through Self Help Groups with the sole object of promoting the development and economics well being urban and rural poor and to provide education and undertaking activities for aiding alleviation of poverty amongst the poor. 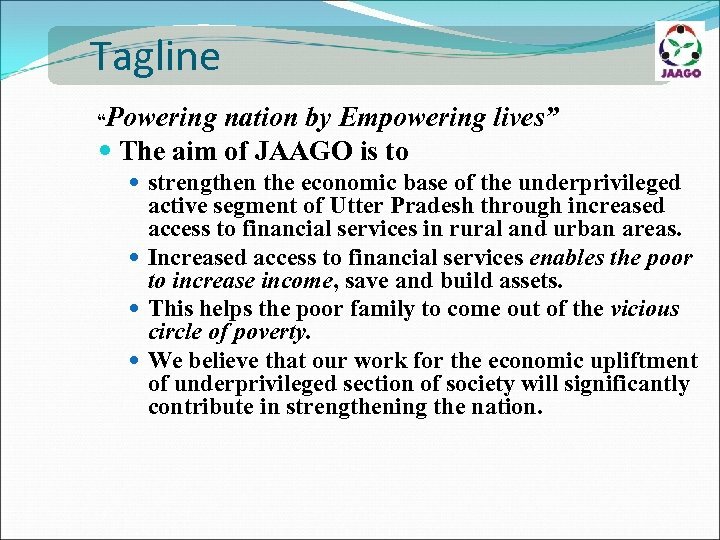 Tagline “Powering nation by Empowering lives” The aim of JAAGO is to strengthen the economic base of the underprivileged active segment of Utter Pradesh through increased access to financial services in rural and urban areas. 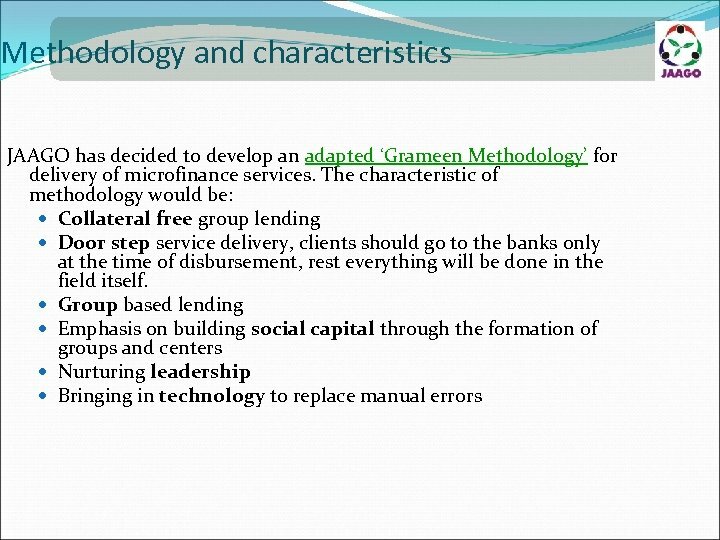 Increased access to financial services enables the poor to increase income, save and build assets. 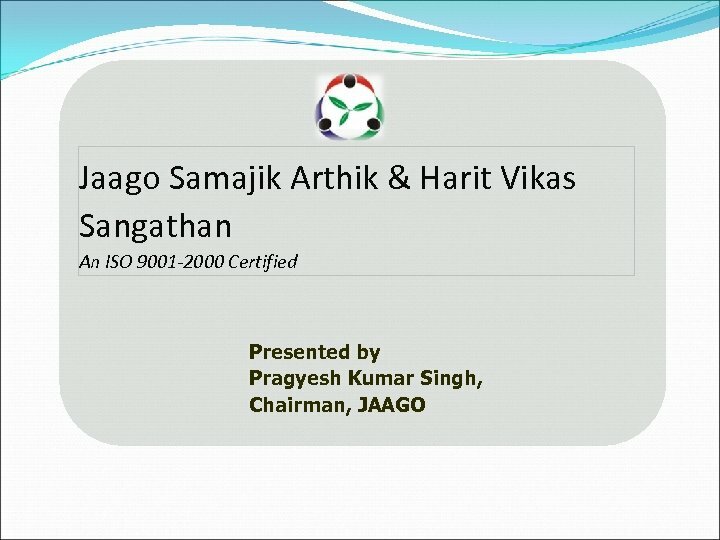 This helps the poor family to come out of the vicious circle of poverty. 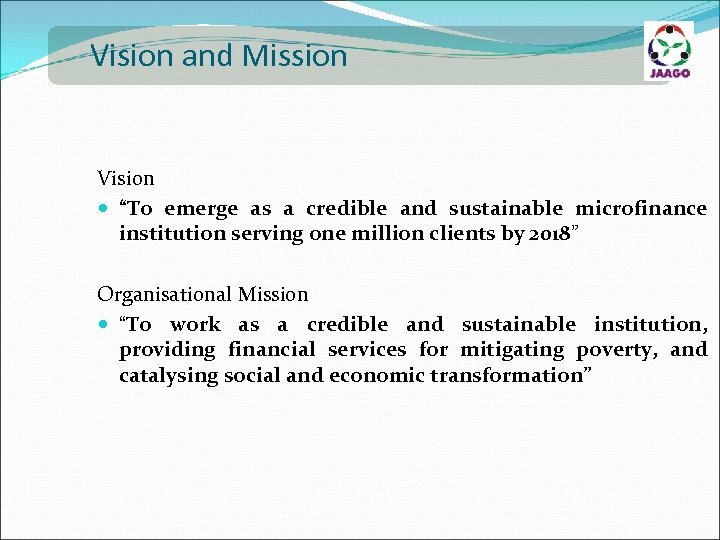 We believe that our work for the economic upliftment of underprivileged section of society will significantly contribute in strengthening the nation. 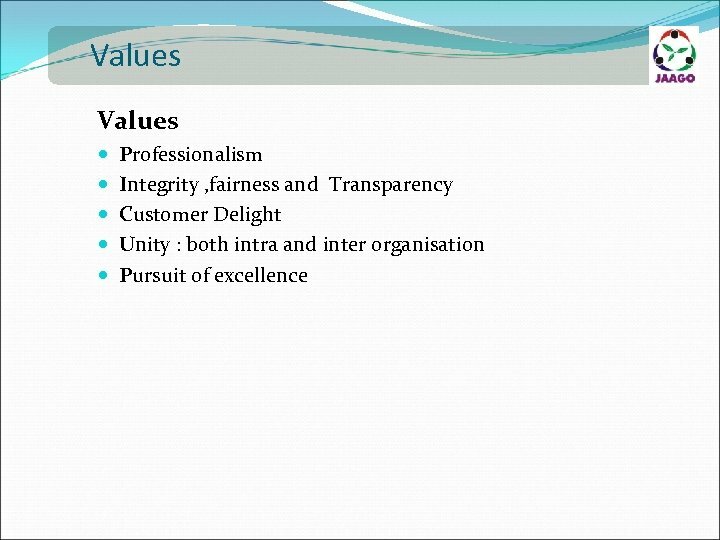 Operational Summery No. of Groups: No. 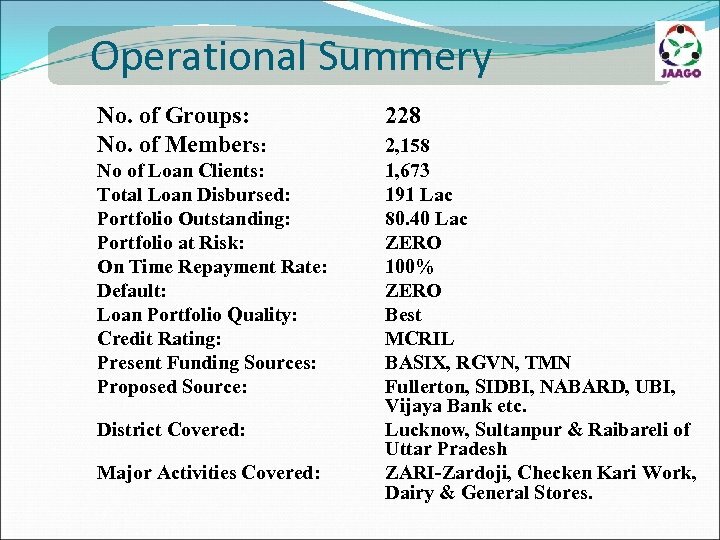 of Members: No of Loan Clients: Total Loan Disbursed: Portfolio Outstanding: Portfolio at Risk: On Time Repayment Rate: Default: Loan Portfolio Quality: Credit Rating: Present Funding Sources: Proposed Source: District Covered: Major Activities Covered: 228 2, 158 1, 673 191 Lac 80. 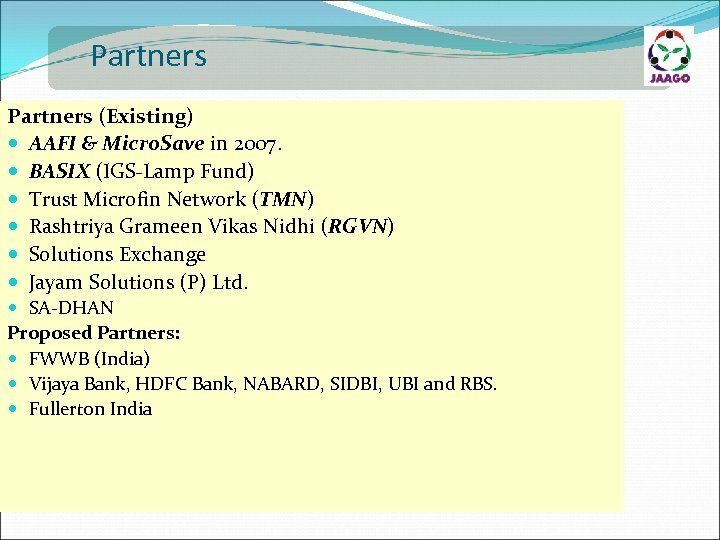 40 Lac ZERO 100% ZERO Best MCRIL BASIX, RGVN, TMN Fullerton, SIDBI, NABARD, UBI, Vijaya Bank etc. Lucknow, Sultanpur & Raibareli of Uttar Pradesh ZARI-Zardoji, Checken Kari Work, Dairy & General Stores.